You can also use the included small thin rubber bands to secure the illuminator to your camera. IR sensor automatically turns on when light levels drop to appx 2 lux. You can simply cover the illuminator sensor to keep it on even in better lighting if required, but not many people want that. 1 of a kind Custom infrared illuminator for use with the IR modded gopro hero cameras. 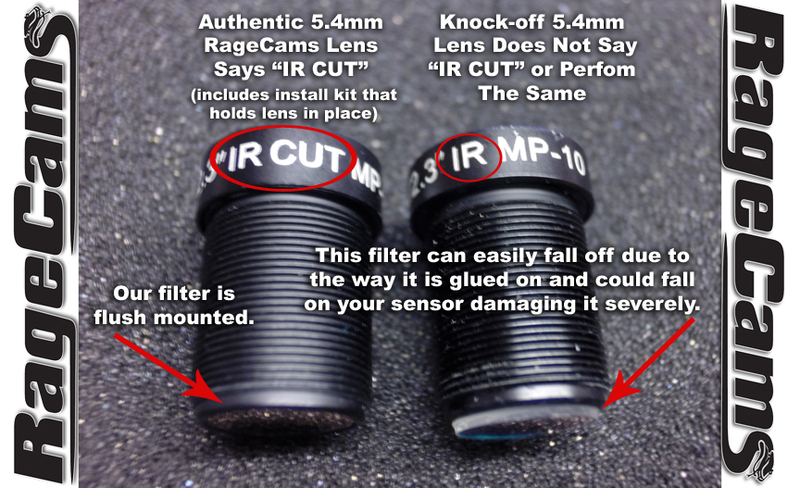 This push on ir fits all gopro cameras that use semi wide lenses from 4mm to 25mm range, or RageCams IR lens. If you use a wider lens you will see led reflection around the edges and would need to mount the illuminator off to the side of the camera or behind it.